Unfortunately, the dress you are looking for (Style: AS-JH-J5146D77H25, Name: AS-JH-J5146D77H25) is no longer available. 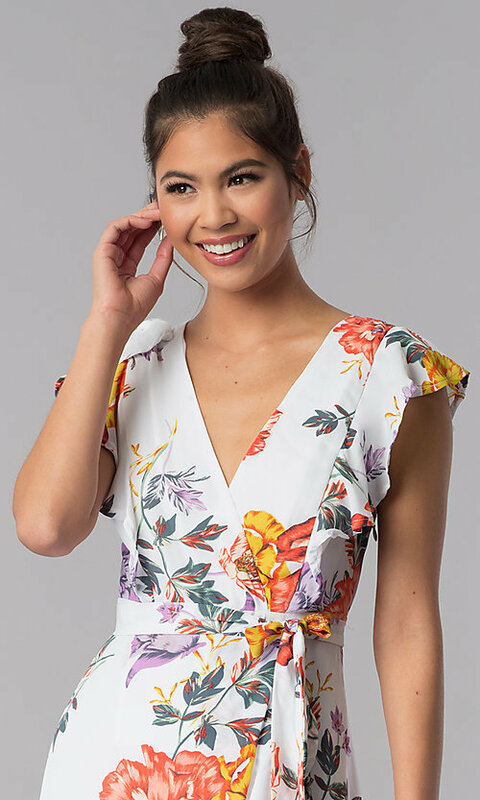 A gorgeous floral print is splashed across this maxi-length casual dress for a look that is as vibrant as it is beautiful. Brightly colored flowers in shades of coral, yellow, and green look like a work of art against the flowing white chiffon. The casual faux-wrap dress ties at the waistline to create the surplice v-neckline, while soft flutter sleeves add a feminine flair. Delicate ruffles trim the side panel and long tulip hemline of this charming maxi dress. 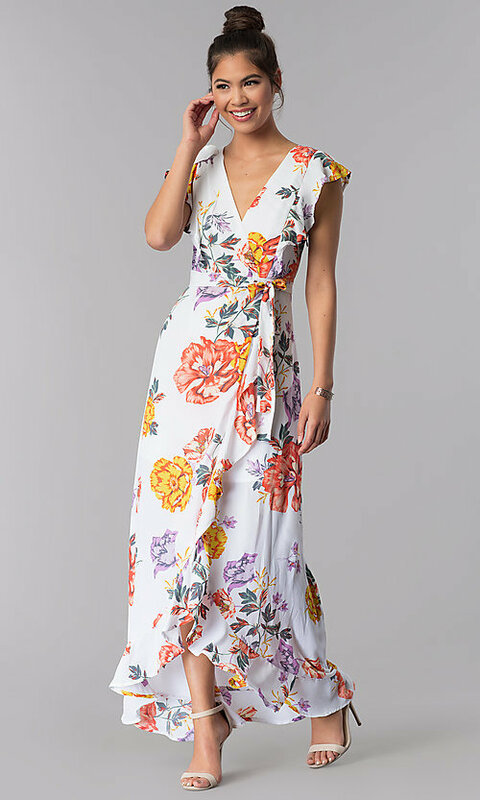 Lovely for sipping cocktails on the deck of a cruise ship or for attending tropical beach weddings, this maxi-length casual dress, under $50, is a delightful design for both informal and semi-formal events.